We offer YOU-PICK strawberries for your enjoyment! Picking your own strawberries at Laxmi Strawberry Farm It is a great way to spend a summer and winter day with your family and friends. Don't miss the season. Come on out and pick your own. Choose your strawberries carefully. Leave the stem attached to the berry. Your strawberries should be a bright red color. Berries that appear orange or slightly green are not ripe. Strawberries do not ripen after being removed from the plant. The size of a strawberry does not affect how sweet the fruit will taste. 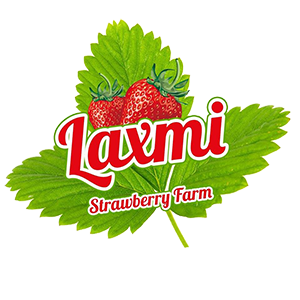 Call on Laxmi Strawberry Farm (91-942-062-8395) for updated information on the latest information regarding our hours and other details.